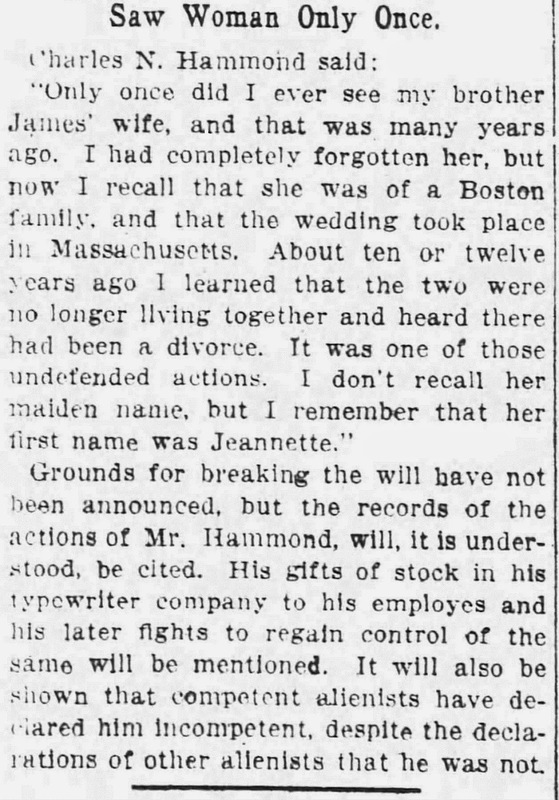 Jeannette Maxwell Hammond, the "mystery widow" of James Bartlett Hammond. 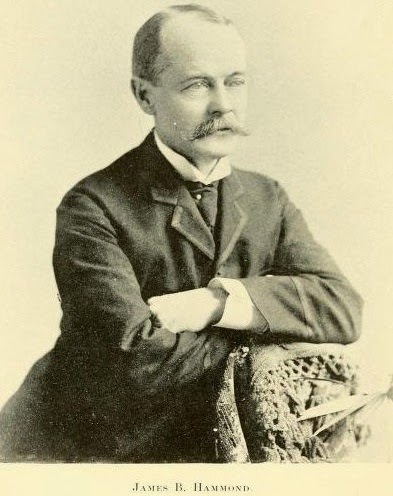 A fortnight after James Bartlett Hammond, the multi-millionaire head of the Hammond Typewriter Company, died on his yacht off St Augustine, south of Jacksonville on the Florida coast, on January 27, 1913, his "mystery widow" turned up in New York City. Since there was a right royal scrap going on over who would inherit Hammond's considerable fortune, the widow's sudden appearance caused quite a surprise - and a stir. She was described as a mystery woman back then and until today she remained a mystery. No longer. Her name was Jeannette Maxwell and she was born in Bay City, Michigan, on September 12, 1862. 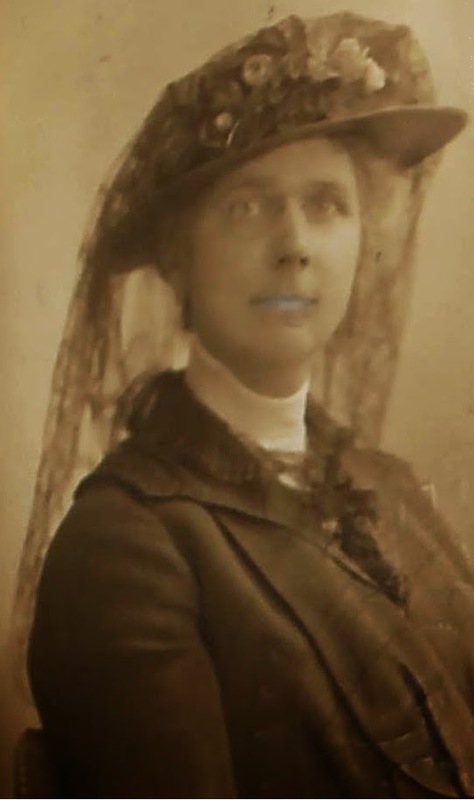 She was, in other words, more than 23 years younger than Hammond and was a music teacher in Michigan when they married in Boston on September 15, 1897, three days after Jeannette's 35th birthday. On her reappearance in New York in 1913, newspapers said the marriage had taken place before 1893. Contrary to the reports at the time, she was not originally from Boston and she was not living in Germany when Hammond died. She came from Michigan (where her father, Andrew Crosbie Maxwell, 1830-1902, was a wealthy lawyer) and she had been living in Paisley, Scotland, with her future (second) husband, John Thomas Pattison (born Bowling 1860), also a wealthy lawyer. She married Pattison sometime after 1916. She and Hammond were never divorced, but had separated in about 1902, five years after their marriage. Jeannette had been living in Scotland from 1905-09, but in 1910, three years before Hammond died, she was manager of a magazine in Boston. 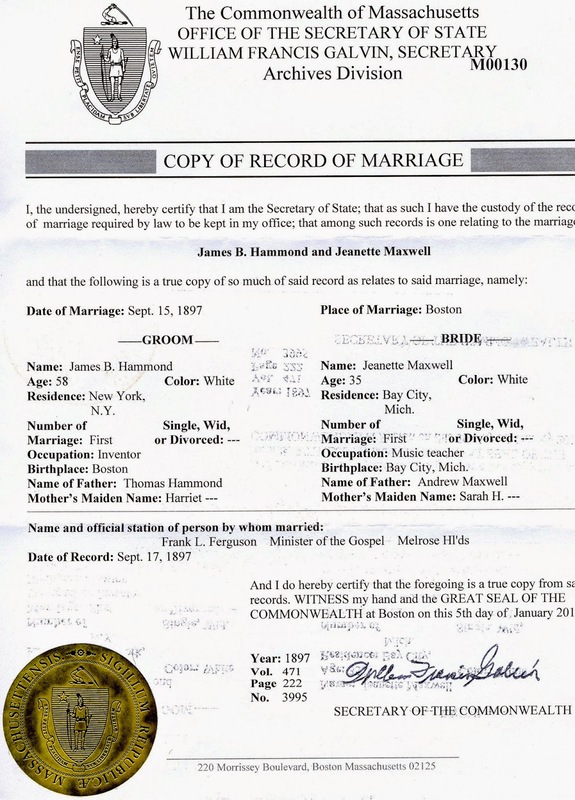 She and Hammond were still living together in Manhattan in 1900, which makes a mockery of the Hammond family claim that they had separated in 1898. J.B.Hammond in 1894, three years before his nuptials. Jeannette and her Scottish second husband continued to make regular visits back to the United States until at least 1934. But whether she got any of the Hammond money is not known. Not being divorced from the typewriter inventor, she was almost certainly entitled to some.